Fiat 128 - The pictures aren't the clearest, and the seller doesn't include a lot of text in his ad, but this looks like a pretty decent Fiat 128. These are really fun to drive. Unfortunately, rust was a huge problem and most 128s were recycled a long time ago. It's not often you see one today. This car hasn't run in a few years, but the seller says it runs with "fresh gas". He does not say what year it is, but based on the bumpers, it's a 1974 or later. 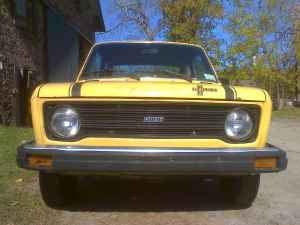 A bright yellow Fiat 128 with racing stripes would just be a cool car to own. 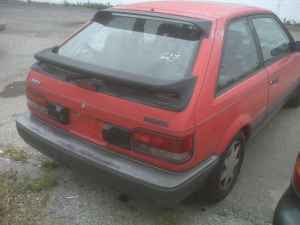 Located in "Western New York", click here to see the Craigslist ad. Essentially, the 323 GTX is a detuned rally car. The engine is a 1.6L, twin cam, 16 valve, turbocharged and intercooled 132hp 4. That power goes through a 5 speed transmission and then to all 4 wheels. Yes, this is a turbocharged, all-wheel-drive car that doesn't have four rings on the front. Only 1200 or so made their way to the US. Few remain. Most of the surviving cars are in the hands of collectors. This car appears to be an unrestored original. If you don't care about originality, you can bump these up to about 180 HP cheaply and reliably. Located in Bellmore, NY, click here to see the Craigslist ad. 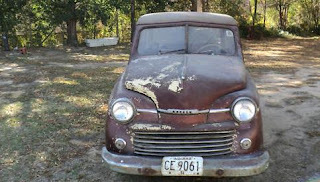 1947 Keller Super Chief Wagon - The seller is asking $100,000.00 for this car. Is it worth it? I have no idea because until tonight I had never seen or heard of a Keller. This is not my type of car, but the history behind it is pretty interesting in an it-could-only-have-happened-sixty-years-ago kind of way... You can read the story here. Located in Bastrop, LA, click here to see the eBay listing. Looks like that Keller may be the same one listed on the ACAA site in 1999. That car was located in Alabama. Not far from the eBay listing. They were asking 90k back then and reference the same site for further info. Seems like a ton of money. There are some ACAA full classics that can be purchased, fully restored, for less. Woody’s have been real hot for the past few years, but seems like a lot. Great post on the 323GTX. I’ve only seen a couple in the past decade. None recently. I think most have been just beat up and used. Kind of like the VR4 Galants.